I wonder if some remember me I used to be pretty ok in this game, saw the worlds 2016 by chance. Just wondering if any of the old gang still exists. Worlds 2017 at gencon ? They still have a World's Tournament? I'm quite sure most of us are still alive, and all of us have fond memories of the game. I went with you to some of those tournaments actually, and some time ago i met Ian while trying out Mektek. So we got back in touch, and now have tried out Alpha Strike a couple of times. Not quite the same, but still enjoyable. I was pointed here by him actually, it would be great to get back in touch, and not just with you. 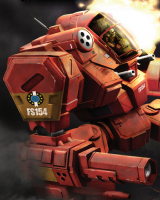 Alpha Strike has gotten me back into BattleTech as well, it's a pretty good system for playing larger battles. MW:DA always was more of a skirmish game in comparison. I played a lot in Brazil around during 2003-2005 or so. Eventually I won the Brazilian nationals, supported by WK and got a place to play at GenCon in US. Sadly I was not able to get a travel visa in time but WK was very nice to send me a Dropship and a full set o uniques from Firepower expansions (lots of Samurai-like Kurita mechs), as compensation but I regret to not be able to play with the best in the world at GenCon - it would be a lifetime experience. Hello! I was pretty active in Portland OR for a few years with MWDA. After the game died out among my area, I used my collection to play Battletech Alpha Strike with. I rebased and repainted my sets and then bought used lots online and did up those. The game may be gone, but the toys live on!! Seriously, I am a huge Battletech fan today because of you. Many thanks!